The Delhi High Court today gave a 10-day deadline to Centre to come out with detailed guidelines for regulating sale of junk food and aerated drinks in and around school premises in the country. A bench of Acting Chief Justice B D Ahmed and Justice Vibhu Bakhru, firmly told the Food Safety and Standards Authority of India (FSSAI) that no further extension will be given, while terming the non-filing of draft guidelines as “unfortunate”. 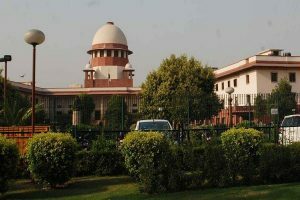 Earlier, Additional Solicitor General Rajeeve Mehra had assured the court that the draft guidelines would be filed by July this year. “Earlier, this court had recorded that draft guidelines would be filed on 24 July. Unfortunately, the draft guidelines are not ready. Now, the counsel for the Centre states that the draft guidelines would be ready within 10 days. Let it be filed within 10 days… It is expected that parties shall adhere to this time line and no extension would be given by this court,” said the bench. It has fixed the the case for 4 September. It added that the Centre would share the report with other stakeholders who will also give their suggestions or comments on the issue. Earlier, the Centre had said that private firm AC Nielsen QRG-MARG Pvt Ltd was in the process of framing norms to regulate availability of junk foods and carbonated drinks within 500 yards of schools. It had also said that after the draft guidelines were prepared, the food processing companies would be consulted for their opinions and then the final guidelines will be made. The court was hearing a PIL filed by Rakesh Prabhakar, a lawyer for NGO ‘Uday Foundation’, seeking a direction banning sale of junk food and aerated drinks in and around schools. In January last year, the court had given six-month time to the FSSAI for framing guidelines on banning sale of junk food and aerated drinks in and around educational institutions.